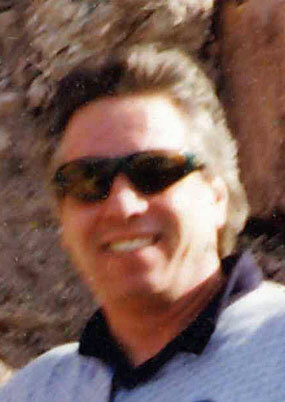 Salvatore “Sam” Joseph Santoria age 62, of Las Vegas, NV passed away on November 10, 2016. He was born on May 21, 1954 in Chicago, IL to Charles and Ann Wrzek Santoria. He married Janine Fast on December 17, 2010. They met through a mutual friend. He had moved from Chicago in 2005 to Las Vegas. Sam is survived by his wife Janine; two sons Chuck Santoria and Mark Santoria; and two brothers Frank and Tom. Sam was a hard-working man and who drove motor coaches in Chicago and Las Vegas. Sam loved the horse races. Being from Chicago Sam was a die-hard Cubs fan and everyone knew it when they visited him from all his Cubbie decor. Sam also loved animals and his dog Duke that he rescued from a shelter.